Many sheds and gardens have tired old garden furniture laying around gathering dust, or maybe your’re just tired of your garden furniture and want a change. 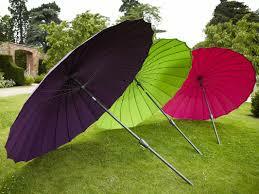 You may have a gazebo in need of repair or a parasol that needs patching up, don’t throw it out! up-cycle it. 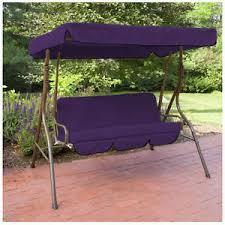 Now is the chance to get a bit creative with your existing garden furniture, you could to the original shade if you want but why not go for something different? 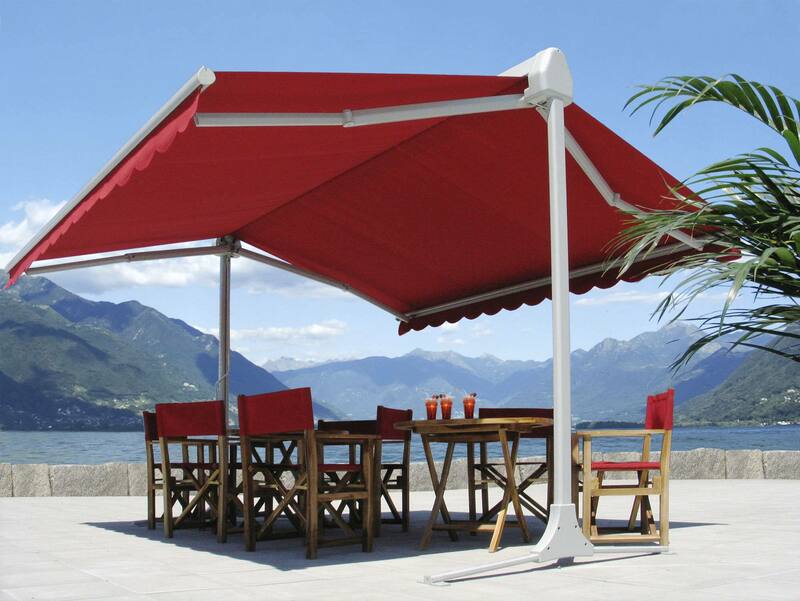 Keep the framework and ditch the old fabric for a good quality acrylic awning fabric that will last. Re – covering old garden furniture is more straightforward than you may think, we can make the fabric part of your item better than new! Table and bench parasols, window and door awnings, gazebo covers, swing chair shades, canopies,we will bring them back to life in a bright new colour or restore the fabric as close to the original shade as we can. 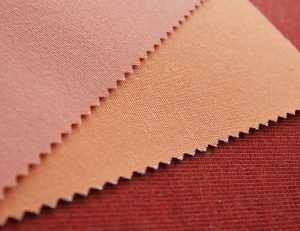 The best way to get your project started is by giving us a call, let us get an idea about your plans then we can chat about colours and suggest the relevant fabric. Next we can send out fabric samples so you can narrow down your choice and get to see the fabric and the colour up close before you go ahead with your order. 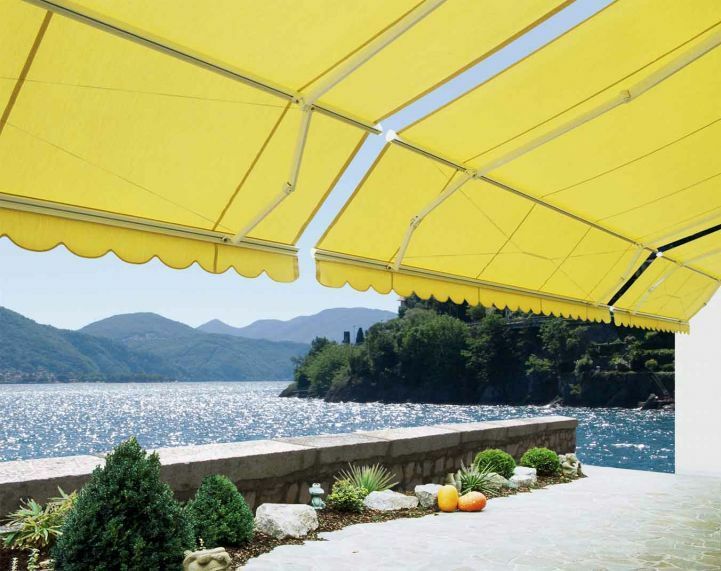 Many of the acrylic awning choices have different textures that would be better seen up close. If you have a brand new project you need the fabric for, sketch it out with the exact dimensions and either email or post us your plans with the fabric choice written clearly so we can quickly price the job up. This is a great idea if the fabric you need replacing is a complicated shape, Getting the dimensions exact can be rather tricky so just leave it to us! 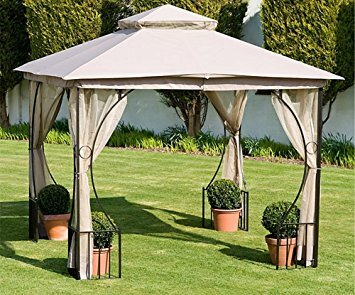 Send us the entire original fabric weather its a parasol, canopy, day bed, or awning and we will make a brand new copy using the new fabric you choose. 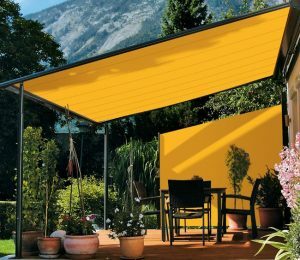 Bring your garden furniture back to life with a big splash of one block colour, this looks fantastic in any size garden and can transform the most basic of areas into a sleek contemporary space. Simple plain furniture in black or wood work well with this bold sheet of colour, whilst pot plants scattered around will slightly soften the look and bring the garden back into the picture. Choose the colour scheme then choose the awning fabric, we have an abundance of bold colours so if you want to add shade in a few areas, why not go for a few different colours? If you prefer a more sedate colour scheme for your garden furniture we have many neutral shade options that go far beyond simple cream or beige. 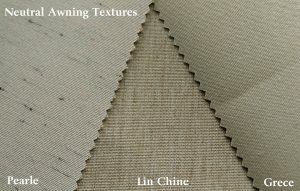 Pale neutral fabrics set against the green of a garden give a very refined and classical look which is easy to achieve if you want to stay with one shade of neutral or gently blend in other soft creams to the mix. 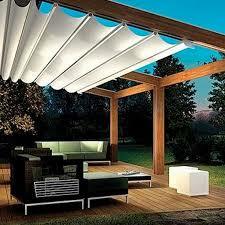 This simple neutral look works with modern contemporary structures or traditional shaped awnings. 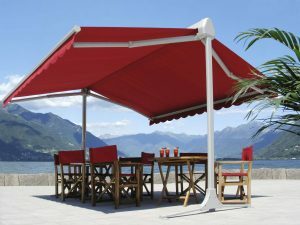 Previous Previous post: Whats the Story Awning Glory.